Ask your students to work in pairs. 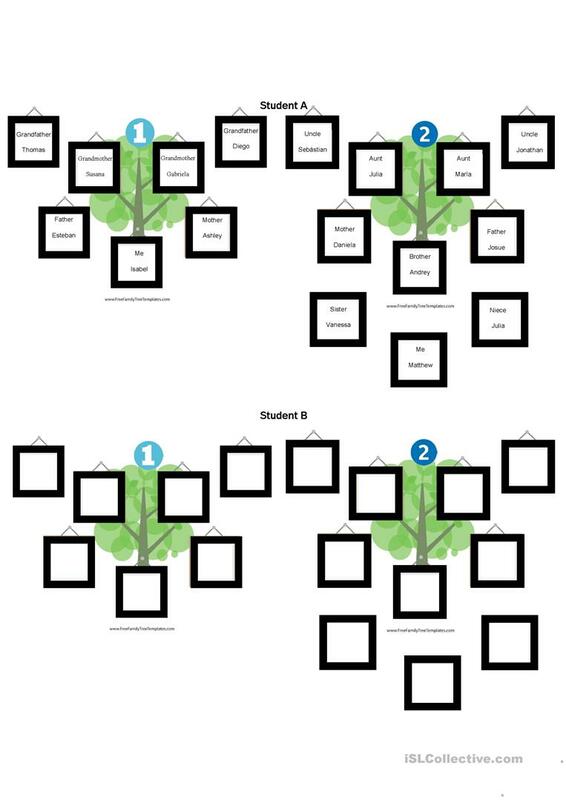 Give the student A the complete family tree, and to student B the empty one. Students will ask and answer questions until they gather all the information.